She received a scholarship from the International Spanish Music Course in Compostela, and also from the Spanish Ministry of Foreign Affairs and the Institute for Co-operation with the Arab World. With these scholarship she studied for two years in the Higher Royal Conservatoire in Madrid, to perfect her technique. She won first prize in an inter-university competition organised by the American University of Beirut. 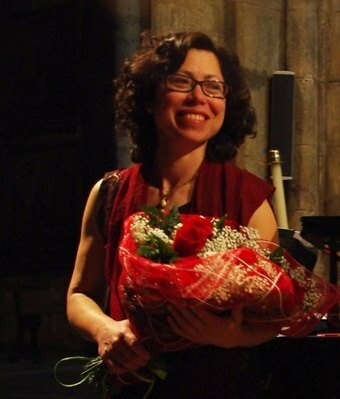 She has given solo recitals in the Cervantes Institute, in the Juan March Foundation in Madrid and the Institute M. Gómez Matías de Arenas de San Pedro in Ávila. She has also played in the Madrid Cultural Centre. 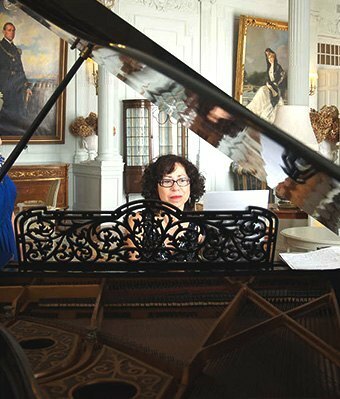 She has played with various chamber music groups, which have given concerts in the Ateneo Guipuzcoano, in the Caja España Auditorium in Valladolid and for the social education branch of the Caja Cantabria, in Santander. The groups have given various first performances of contemporary works. Likewise, she has performed in Primaveras Pejinas, a series of concerts in Laredo (Cantabria), where she was accompanying the soprano Laura Colina. They also performed in the music festival organised by theEvolution Museum in Ibeas de Juarros (Burgos) and they have also participated in the series of concerts in the “Casa Asturiana” in Madrid. Marie has played in concerts halls in Beirut, Madrid and Paris. In 1997 she took the place of Esteban S. Vélez, the ex-director of the choir in the Festival Palace in Santander (Cantabria). She substituted him as director of the Portus Victoriae Choir in Santoña. The choir gave various concerts under her direction. She has teaching qualifications from the Spanish Ministry of Education and Science. Her interest in teaching has led her to specialise in the Suzuki Method, she has a diploma from the European Suzuki Association in France. She has recently attended various summer teaching courses in the University of Cantabria. Between 1991 and 1996 she was co-director of the Music School in Arenas de San Pedro (Ávila), where she gave lessons in piano, music and movement, theory and choral singing. In addition, she has taught piano in the American Conservatoire of Paris. She has recently taken part in a music project called Pimem for the University of Cantabria. 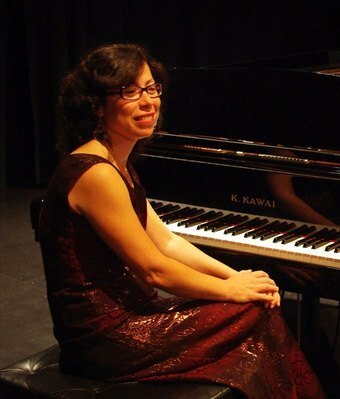 Marie currently lives in Cantabria, where she divides her time between teaching and giving concerts.